This is the mantra Jasper “Jazz” Francis Dent runs through his head whenever his darker urges get the best of him. A sentiment that completely goes against what he’s been raised to believe by his dad, Billy Dent, who just-so-happens to be the notorious serial killer known as “The Artist,” “Green Jack,” “Gentle Killer,” and “Hand-in-Glove.” Daddy Dent has so many nicknames because he spent years switching up his M.O. to avoid getting caught by the police as he murdered no less than 123 people…possibly more. As soon as Jazz was old enough to talk, Dent began sharing his killings in great detail with his son – the who’s, the how’s and, with special delight, the why’s - the power of watching a human take his last breath before the light goes out in his eyes. This is all Jazz hears and knows until, at the age of 14, his father is finally caught and subsequently sentenced to life in prison. His arrest leaves Jazz in the custody of his ailing grandmother and alone to face the accusing stares of the people in his small town. Like father, like son…right? Fast forward two years later when the body of a woman shows up in a field near town – three of her fingers cut off with only the middle finger left behind. Jazz can’t help but feel the mutilated hand is the work of a serial killer, and warns the police chief as much. After he’s politely but firmly told to ‘mind his own business,’ Jazz enlists his best and only friend, Howie, to help do some investigating of their own. After all, who better to profile a potential serial killer than someone like Jazz who studied for years under one of the best? When within days another body shows up and then another – all with missing fingers – the police are forced to acknowledge Jazz might be right. Worse, the pattern of the killings are quite familiar since they appear to be mimicking those of his father’s murders…in their order and style. As the bodies continue to pile up, can Jazz do what it takes to stop this new Impressionist killer…or will he be enticed to join him? A Hannibal Lecter-style visit to dear old dad in prison only heightens the suspense. If you’re familiar with the book and Showtime series, Dexter, then you know Dexter Morgan is a serial killer who acts on his sociopathic impulses by sticking to a code where he only kills people who actually deserve it – murderers, rapists, and other hardened criminals. Like Dexter, Jazz struggles with the urge to act on what his father has taught him – the urge to kill. With the exception his girlfriend, Connie, and Howie, Jazz doesn’t feel emotionally attached to any humans, and sometimes when people make him angry – like, say, the social worker who believes his grandmother needs full-time medical care which would mean foster care for Jazz – he even imagines killing them…as in taking his fingers, wrapping them around the person’s neck, and watching as the life is slowly squeezed out of them. This book is dark stuff, y’all. Lyga doesn’t spare the reader the cruelty of Dent’s killings, mostly women and even the family pet(! ), and keeps you guessing as to which way Jazz might go. In fact, Jazz has a recurring nightmare about taking a knife and cutting through skin and bone with it himself, which he believes may be his brain’s way of burying a murder he’s already committed...possibly that of his own mother. In other words, put this in the hands of Stephen King, Dexter and/or murder mystery fans with strong stomachs and a taste for truly terrifying horror. I’m one of those freaks, so I dug it. 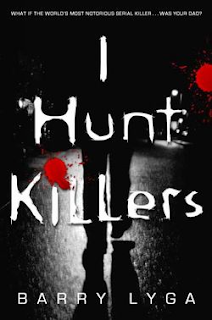 Like Jeff Lindsay’s Dexter series, I Hunt Killers has been snapped up by Warner Brothers to be made into a tv series. I can certainly see lots of plot possibilities. 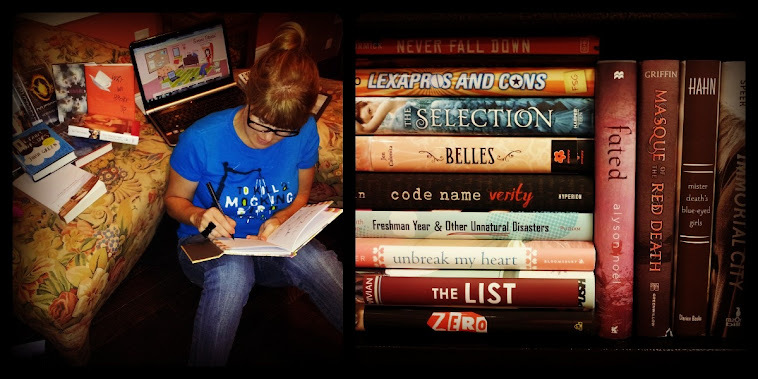 The book itself ends with a HUGE cliffhanger, and its sequel is projected to come out April 2013. To learn more about Lyga and his other books (Fanboy and Goth Girl, the Archvillian series) visit his website at http://barrylyga.com/ .